More than one woman has explained to me why men never grow up. They say it is something to do with privilege and power. Men are indulged and respond like children. Those men who are perpetually indulged remain children. Some merely have moments and head without caution towards infancy for brief escapades. If the movie ‘Beyond The Sea’, directed by Kevin Spacey, has not been quoted as evidence for this argument it should be. Spacey was given the option to take control of the movie when the planned director Barry Levinson abandoned the project. Spacey, a Darin fan, not only directed the movie, he sang the songs on the soundtrack as well. He may have more brains than the average Elvis impersonator but the familiar adolescent fantasy was revealed to be as deep rooted. Spacey was not an awful singer and most of the time he did a decent impersonation of the vocal performances by Darin. There was an irony in the movie that somebody as bright as Spacey must have realised. Spacey was impersonating the man who was perhaps the greatest mimic of them all. 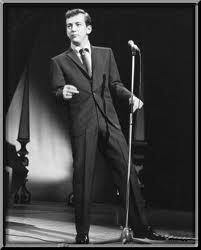 Okay, the mimicry of Big Al Downing was important because of the way he straddled various genres and acted as a missing link but nobody is as versatile as Bobby Darin. Well, there is one obvious example but regular readers of this challenge do not need me to mention his name just yet. The versatility of Darin became obvious in the film. Spacey is required to perform a version of the big Darin country tinged hit ‘Things’. The song is used as backing material for a poignant scene. The intention is that we do not listen to the performance too closely. Spacey may be comfortable with the swing and folk music that Bobby Darin performed but country music and the subtle performance of Darin was beyond him. When Robert Matthew Walker broke ground from most critics and in the 70s analysed seriously the musical catalogue of Elvis he insisted that only one singer could match Elvis for versatility. The singer he named was Bobby Darin. These comments were made in the early 80s. Both Darin and Presley were dead and nobody was especially interested. The memory of Darin was on its way to being neglected and there were too many awful 70s Elvis albums still on the shelves of record stores. Nobody was interested in Elvis as a barometer of anything. Both men were underestimated and both remain that way although fans are persistent and people like Kevin Spacey for Darin and Peter Guralnick for Elvis have emerged to defend their heroes to those prepared to listen. I was disappointed when Matthew Walker compared Elvis to Bobby Darin. I suppose I wanted somebody cooler, someone who would be more impressive to people of my generation or, if I am being honest, my antagonistic friends. Not long after the book by Matthew Walker was published, the songwriters Tim Rice and Andrew Lloyd Webber appeared in a radio show hosted by a DJ called Brian Matthew. The format of the show was a steal from Desert Island Discs. The guests had to pick their favourite twelve records. The difference was that there was no desert island and the guests were music stars and not Radio 4 worthies. Rice and Webber picked an Elvis song called ‘The Girl Next Door Went A Walking’ because one of the songwriters was called Rice. As Tim Rice explained, how can you pick one Elvis song above all the others? He also selected a Bobby Darin song. This was ‘18 Yellow Roses’. Rice laughed about how often Darin impersonated others and asked the listeners to note how the performance was a copy of the cowboy style of Marty Robbins. This is what is odd about versatility. There comes a point when people stop taking you seriously. There is a famous tale about the British entertainer Roy Castle who was obliged to appear at the Glasgow Empire, a theatre famous for its hostile and unforgiving audience. Castle revealed his usual repertoire. He sang songs, told jokes, performed magic tricks, danced, played a bewildering number of instruments and did impressions. The audience was always restless and one member of the audience who was perhaps less patient than the rest admitted before the end of the act that he had endured enough. ‘Jesus Christ,’ he shouted, ‘is there no end to the talent of the wee —-‘. You can work the obscenity out for yourself. Note that, like the Glasgow accent that uttered the heartfelt plea, it was harsh. Roy Castle did not return to the Glasgow Empire. Later, he was quite successful hosting a show about record breakers, the man who could eat the most boiled eggs and so on. It suited him perfectly. He could talk about people like himself, people whose talents were extreme but inconsequential. 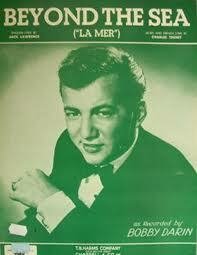 Bobby Darin had hits in Britain but for most British rockers he was a rock and roll version of Roy Castle. He lacked consequence and failed to offer the excitement of the real rebels. Today, this view appears to be harsh. We now realise that some of his records are exceptional. 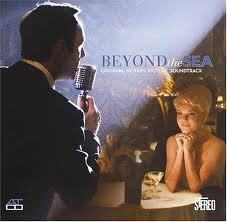 ‘Mack The Knife’ is a great record but it is easily surpassed by ‘Beyond The Sea’ which is probably perfect. It not only swings irresistibly but has relentless vocal invention. Similarly, the career of Darin is underappreciated. Not only did his music cover various genres he had a movie career that made real demands of a substantial acting talent. Darin won the acting awards that Elvis could only dream about. He wrote songs and played several instruments. Amet Ertegun, the founder and President of Atlantic Records, worked with the great Ray Charles and other fabulous black talents but he was always prepared to single out Bobby Darin for praise. Darin even managed a classic double A sided single, ‘Irresistible You’ and ‘Multiplication’. The sides were actually reversed in Britain. Like all great musicians he had exquisite timing and by sharing it with his audience he was able to add dynamism to his stage show. 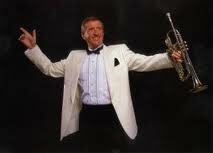 On stage, he was not like Roy Castle. Bobby Darin was not a dull performer. He was great. But as marvellous as some of his records were – the hilarious ‘Bullmoose’ is another fine example – he was not the equal of Elvis. Inevitably, the versatile are obliged to produce moments that are not always compelling. No doubt some people will look at the music of Elvis and say he suffered from the same limitations but they misunderstand his history. Elvis was mismanaged and became self-destructive. Listen to him at his best, on the four CDs that document his career in the fifties on the still available box set ‘The King Of Rock And Roll’. Nobody has combined that degree of versatility with consequence and consistency. This is why he appeals to the adolescent in us. He made us feel privileged and indulged and without thinking our generation followed him into infancy and innocence. We chose simple rock and roll and excitement. Darin was talented enough to do everything but was always happier with sly sophistication. Although he should not be dismissed, his reach was more limited. The versatility had less consequence than that of Elvis. It explains why his career took him to Vegas, well before Elvis was finally dumped there. If you want to read more about Elvis, rock and roll click here.